Reversing the pose of Ferrucci's relief, this marvel of mannerist painting also shows the new directions of Italian art in the sixteenth century. With its mysterious luminosity and boldly defined figures, it suggests statuary viewed by candle-light. Beccafumi has paid homage to Michelangelo in the volumetric forms of the Madonna and her draperies and the 'contrapposto' of her pose. 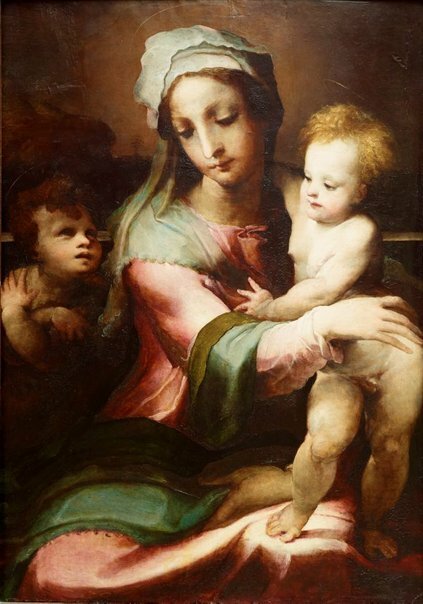 For the suppleness of flesh and softness of atmosphere, however, Beccafumi has turned to Leonardo's testing 'sfumato' technique. 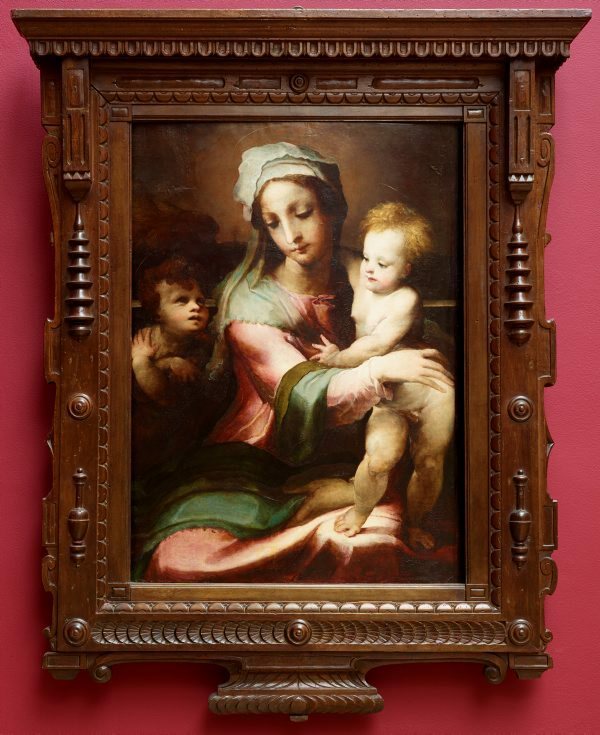 This imbues his altarpiece with a theatricality that is utterly in accord with the mannerist aesthetic in which Beccafumi was steeped throughout his long career. As a master trained in Siena, a city dedicated to the Virgin, Beccafumi produced innumerable versions of this subject. In this case, the result is a painting of exceptional poetic power. Renée Free, AGNSW Collections , 'The Western Heritage, Renaissance to Twentieth Century', pg. 108-172, Sydney, 1994, 111 (colour illus.). Bruce James, Art Gallery of New South Wales handbook , 'Western Collection: Paintings and Sculpture', pg. 17-77, Sydney, 1999, 21 (colour illus.). Dot Kolentsis, Look , 'Backstage Dot Kolentsis – Art programs co-ordinator', Sydney, Dec 2015-Jan 2016, p 11. Art Gallery of New South Wales Foundation: Celebrating 30 years of art acquisitions , Sydney, 2015, p 15, col illus p 15.
International Museums Diary , London, 1994, (illus.). Art Gallery of New South Wales Foundation Annual Report 1997 , Sydney, 1997, 19 (colour illus. ).